What impedes the understanding of the development of people? Leaders understand that the development of people is an investment, not an expense. The investment pays off in employee satisfaction, which increases productivity, which increases profitability. The problem that emerges is the short-term profit mentality that impedes management’s ability to understand the value. Why is marketing so often misunderstood? Too often, people think that selling is causing prospects to buy something they don’t want or don’t need. And sometimes that’s true. However, marketing is a process whereby the marketer seeks to determine a person’s need for the product or service and only then does he/she seek to sell. Remember that selling isn’t telling, it’s listening, in order to discover the need. Are you an entrepreneur or not? Many people are in business for themselves today who don’t consider themselves entrepreneurs. Why? Because many became self-employed, not necessarily because they wanted to, but mostly because they had to in order to earn a living. However, success is success, no matter how you define it. Why is people development a never-ending role for effective businesses? 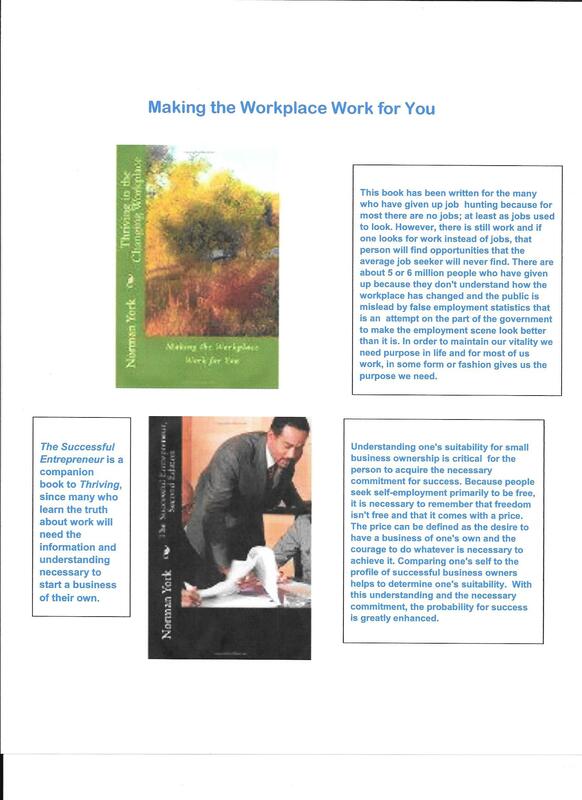 Employees who are not given attention to grow and develop themselves on a regular basis soon become dissatisfied and unproductive, resulting in the need to employ more than logically needed to get the job done. Therefore, people development is not a cost, it’s a saving.